I got some really nice comments about our yellow habanero pepper. It definitely gets the award for the best plant in the garden because this habanero plant is a GIANT! Here it is on the left, on the right for comparison is one of the bell pepper plants. 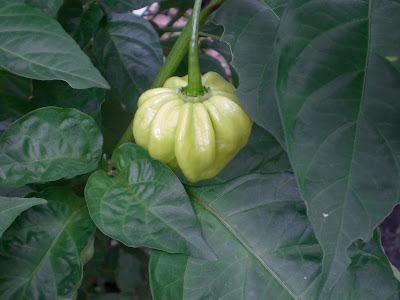 The habanero plant looks like he could eat poor little bell for breakfast!! It's enormous! The habanero was a sad little plant when we put it in the ground. It was a plant we kept alive since last year and was always in a container on our window sill. When we put it in the ground, it was so happy it quadrupled in size! We didn't even use any fertilizer, only organic compost! Nice. 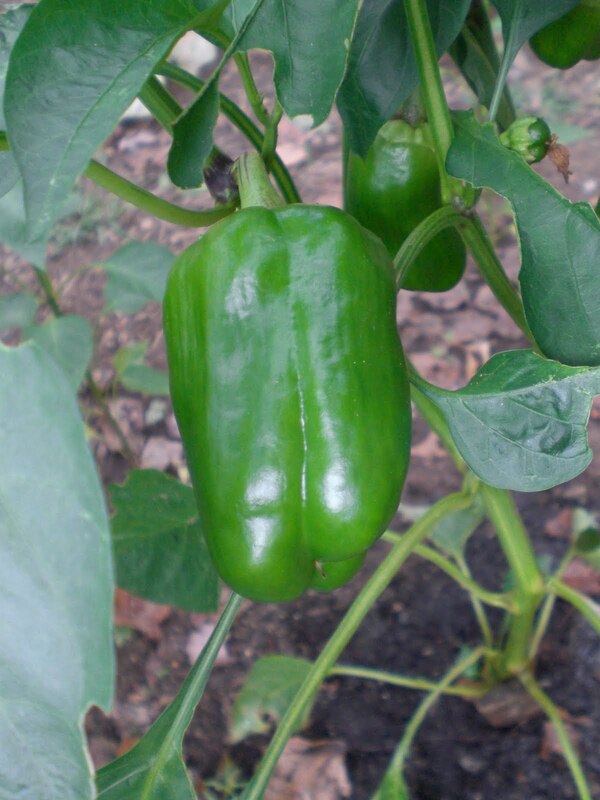 Here's a closeup of one of the peppers. We've been using the peppers in our sweet dill pickles! Adds a nice kick! Here is a closeup of the bell peppers growing! Aren't they beautiful? At long last, they are finally growing! I was so shocked how slow these little guys grow. I mean like watching water boil! Tomorrow is the last day to participate in our 100th post giveaway. To be entered, post a comment here. watching water boil.... exactly! I wanted to rip out the entire summer garden today but I had so many of those little green bells I left them, I hope they don't take toooooo long! They grow slow then jump up all of a sudden! Glad you are getting peppers now. Very nice - I lucked out with 2 new peppers in our community plot this year also - yellow mini bell and the chichen itza habanero (kind of pink). Nice blog! 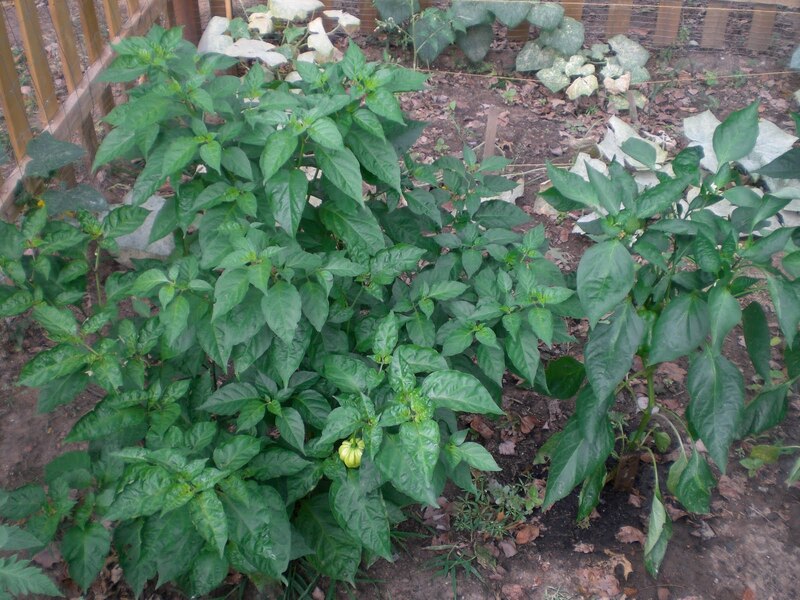 Great job on bringing the sad pepper plant back to life by growing it in the ground! Do you know if it's an heirloom? Are you going to try to save seeds? Love the pictures of peppers hanging on your plants. wow!!! what a habanero. you are raising some gorgeous pepper plants! yes - beautiful peppers indeed!